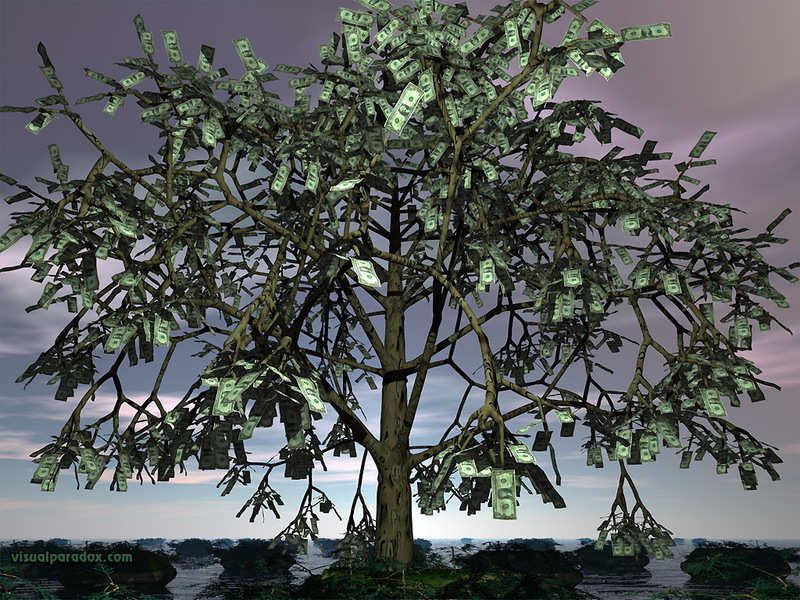 Money is a strange topic with it comes to spirituality, and there are a lot of different opinions out there… Some people see money as a necessary evil that should be treated with wariness- some people have an ingrained idea that it’s holy to be poor that money is the root of all evil. I don’t believe money or material possessions are evil or good inherently, it’s what you do with them. The intention behind them and how you use them. I believe the universe is abundant, and that it’s completely possible to be a spiritual being who takes pleasure in material things. After all, we choose to come here to a material plane to experience a physical reality. I think it’s all in the balance. It’s great not to covet things, or to obsess about things. I don’t want that many things. I am perfectly content with all I do like things with a certain aesthetic though, and things of a certain quality. It brings me pleasure to have furniture that matches and that’s ok! I also have recently bought a few items that will bring me lots of pleasure and joy. New hoops for dancing, a couple new scarves that are pretty… A Xbox 360 with Kinect so the whole family can play games and be active throughout the winter when we can’t play outside. I don’t feel guilty about that, because a) I am not spending money I don’t have and b) while they aren’t necessities, they are going to bring me, and others lasting joy! I think that’s my criteria for purchasing luxuries… How much joy with they bring, and will they enrich our lives. If yes, and we can afford them, then why the heck not? Might as well, since I’ve learned to manifest as much money as I need. I’ve learned through trial and error that the most useful approach for me with money is to see it as Tao.To let it flow, and allow giving and receiving to come naturally, without effort. When I worry about money, when I start to worry about spending it, or worry about making enough, I manifest a lack of money in my life. It’s hard to break out of this cycle. It’s important to allow money to be fluid, liquid… In order to attract it into your life, you have to give it freely as well, without worry. When you are generous with money, with gifts, etc you start to resonate at a frequency that attracts more money into your life. Money likes to be free! If you see something you’d like to contribute to, be it a charity or a project, please do! If you see something that would make a fantastic gift for someone, even if it’s not their birthday or a holiday- buy it! (You can even save it for a special occasion if you’d like, but it’s more fun to give presents just because). If you see something you’d love, that would fill your life with joy (real joy, not the kind that wears off a week later once the novelty wears off), treat yourself. Once you release your tight grip on money, and your worries and cares about it not coming back to you, it starts flowing in. It’s like anything you hold on to too tightly. It starts to get resentful and wants to get away! Ever try to cuddle a kitty that didn’t want to be held? It’s all about having the vibration that makes money want to come hang out with you, and stay for a cuddle. I know that sounds crazy… I totally had an image of Uncle Scrooge from Ducktails swimming in his piles of money. But you know what I mean. Create the right environment and it will flourish! Money isn’t the root of all evil, nor the cause of all joy, but it can be both or either depending on how you perceive it. Use money as a tool to grow your joy, and the joy of other beings and have some fun while you’re at it. I think you have one of the most sane, rational attitudes towards money I’ve seen, especially when I think of the people I know and how they handle their money and the degrees of attachment they have to it. People who use it to fill a void or to give their lives meaning (through status) get themselves into debt, and people who hold on tight seem to repel it. I admit I don’t always have the healthiest attitude. This year I’ve been spending it on a lot of frivolous things then feeling guilty about it, or just worrying about it too much. Actually, this post reminds me of a few months ago when I found someone had swiped the side-mirror off my car which was quoted as costing me nearly $500 to fix. I was annoyed by it, but then my mum called me a few hours later to tell me I was inheriting $2000 from my Great-uncle’s estate, which was a pretty big coincidence! I appreciate the comment. I think I do have a pretty sane and rational attitude towards money, and I have to thank my grandparents. They taught me about money. How to save it, how to spend it and how to be generous with it. My grandparents were the best role model I could possibly imagine when it came to that stuff (and most things).